Leaving your skin soft, fresh and supple this gentle creamy, highly effective cleanser removes all traces of grime and makeup and is even gentle enough to use around the delicate eye area, helping with skin prone to redness, regulating sebum and inflammation. I love that this is a creamy cleanser for oily skins for once.. really works for clearing up skin but isnt too harsh/drying. love it. I was incredibly impressed with louloubelle skincare. Delivery of the products were quick, they arrived beautifully packaged and presented (something that most companies lack nowadays). I have tried a multitude of products on the market all failing to deliver on their promises. I had extremely problematic skin, a combination of oily and dry with constant breakouts. The product smell beautiful and absorbs instantly, its very light in texture and doesn’t feel claggy or sit on the surface of your skin unlike other products on the market. You don’t need to use a’lot of the product for it to work which is great as your getting more for you money, for my skin 1 pump does the job perfectly. I use this everyday without fail, the oil that was sitting on top of my skin and clogging my pores was gone completely within 2 days and has not returned 6 weeks later! My skin looks cleaner and brighter and It leaves you with an incredibly fresh feeling like you have just had a lovely facial in a spa. It removes the makeup brilliantly and doesn’t try out your skin like other products. I would rate this product 5/5 and would highly recommend anybody having a problem with oily skin to try this product, you will not be disappointed! The owner (Magda) was incredibly lovely and talked with me about my skin problems before suggesting the correct products for my skin. Fantastic company that I would happily recommend to anyone. I have recently given birth to identical twin boys, and with all the change that my body was going through (oily residue and general problem skin) I wanted to use a skin care range that was natural, good for me and didn’t affect my boys sensitive skin (as I’m doing a lot of cuddling with the boys at the moment). So to help with this I tried Geranium & Tea Tree Purifying Cleanser, Lavender & Cypress Purifying Toner and Calendula Purifying Moisturiser. I have to say these products saved my skin from feeling greasy and irritated. They were so light on my face and the scent didn’t affect the boys at all. And to top if off they made me feel like me again (which is important when you have had two little ones). 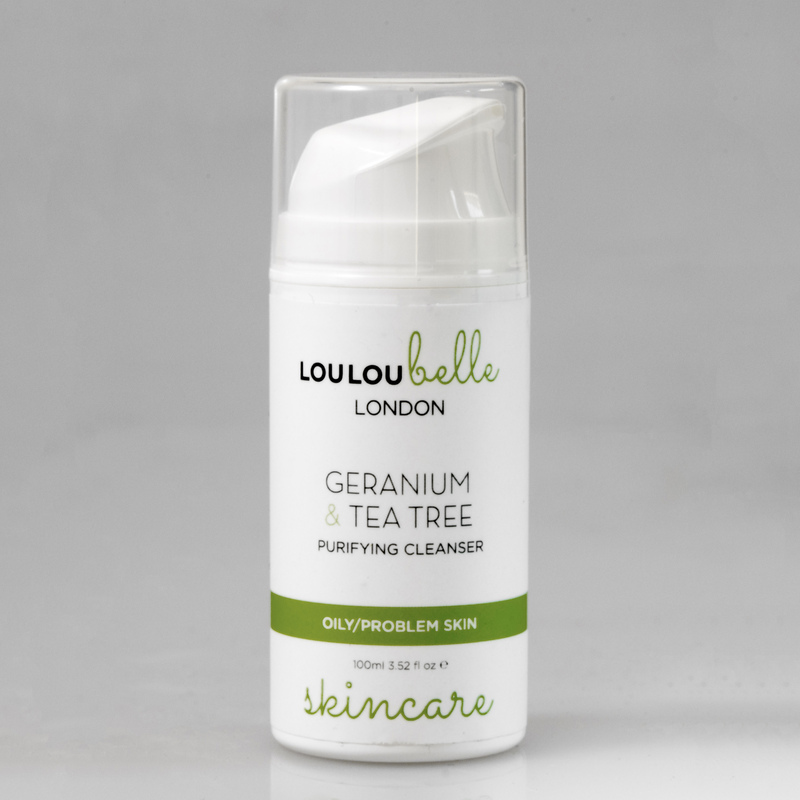 I now feel ready to conquer the world with this wonderful skin range from LouLou belle. Thank you guys for understanding what a woman needs during the time of maternity. I would highly recommend this range for pamper gifts to any expectant friends that you may have.